When designing an office that is appealing to future hires and ideal for retaining current employees, there are many things to consider. Budget is high on everyone’s list, so finding ways to achieve desired designs and aesthetics while ensuring everything serves its purposes and fulfills the need can be tricky. Don’t worry these design options are possible and affordable if you utilize used office furniture options. The layout of the office may be the most important part of designing a space. Before you choose the exact furniture or color schemes, the layout of the office needs to be decided, specifically do you choose the previous norm in the workplace being cubicles or the more recently adapted open plan? Naturally, there are pros to both options. The idea of changing your entire office may force you to stop reading because of the cost. However, whether you have cubicles or an open plan, used office furniture is a great way to keep up with the trends and create a desirable office for your employees. Let’s look at the open office plan. Open workspaces seem to be the most desired option in the last 10 or 15 years. That may be because the creative moguls in the country have paved the way for us to associate these open office spaces with creativity and innovation. As this option became more enticing, businesses started to jump on the bandwagon. Without cubicles or partitions, employees automatically feel like there are less barriers between each other. That’s because there are actually less barriers, right? Yes, but also because an open space with fewer obstructions allows people to widen their view. By breaking down the physical barriers, it seems to also tear down the sub-conscious barriers that cripple growth, creativity, and communication. Therefore, creating an office with less division as a whole. The open workspace inherently will encourage communication. The cubicle walls, room dividers, and furniture that normally blocks people from each other previously blocked collaboration. The workspace will have large tables which foster collaboration by putting people in community-styled situations. Without obstructions, its easier to come up with ideas and brainstorm with each other because you are seeing each other. The whole out of sight, out of mind concept doesn’t have a place here because co-workers are in view of each other which makes it easier to ask for input. Also, furniture that is easily able to be moved and adjusted encourages people to gather together to brainstorm. Fewer barriers also means less furniture. You can choose large tables that seat a lot of employees over each employee having a personal desk which is obviously a money-saver. Large workspaces without walls with furniture that is multi-purposed is economically helpful for budgets. Plus, utilizing used office furniture options allow businesses to pick their ideal furniture option for an affordable cost. An open plan allows companies to create a workspace that is conducive for their employees while being kind to their budgets. 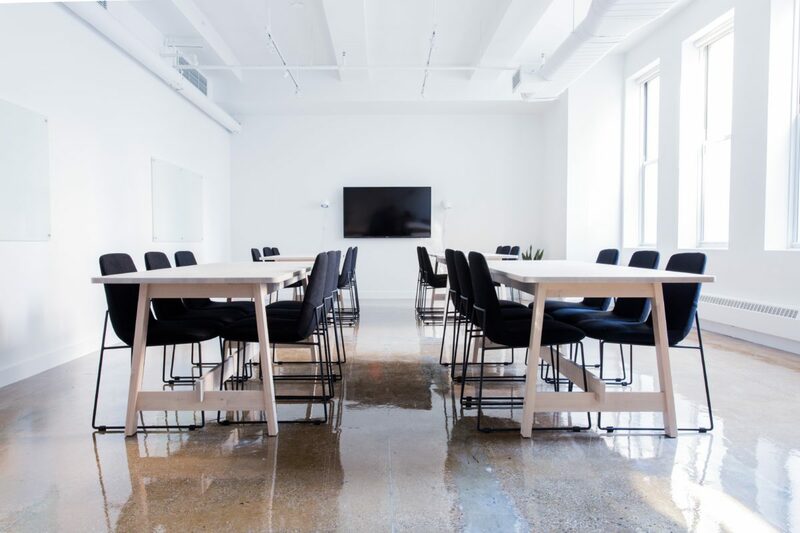 If you’re in Houston and want to adapt the open plan to your offices, used office furniture is the ideal way to optimize your workspaces while respecting budgets. 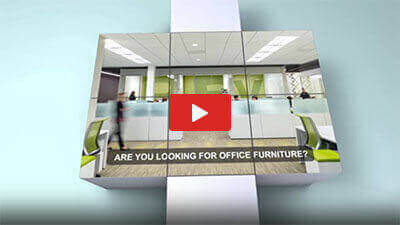 Clear Choice is your solution open plan workspaces with used office furniture in Houston, Texas.